Chimera is our expression of flavors from around the Pacific Rim. We focus on creating dishes that are deeply rooted in their origin but presented with modern creativity and sensibility. Delicious spicy ramen and spicy papaya salad! Friendly wait staff!! We enjoyed it. The artistry and display of entry’s were impressive. Thank you! Delicious! Friendly, knowledgable, and helpful staff. i can't get enough of Chimera! it is amazing in every respect!! love love chimera! Disappointing. Very limited menu. Best dish was the simplest, smashed cucumber. Chow Fun too much like the ordinary Chinese restaurant version. Vegetarian ramen likewise very plain. Hamachi crudo very tasty, very small plate. Green beans weak and wiry, not one of the better versions. Wish the experience had been more positive. I had walked by this restaurant several times and then at a friend's suggestion we ate there. I will be back to try every ramen bowl they serve. The staff was friendly and helpful and the chef came out to check on us. Amazing food. We hit early, so didn't feel rushed, food was very good, had the Chimera ramen bowl, and a saki cocktail that was very nice. 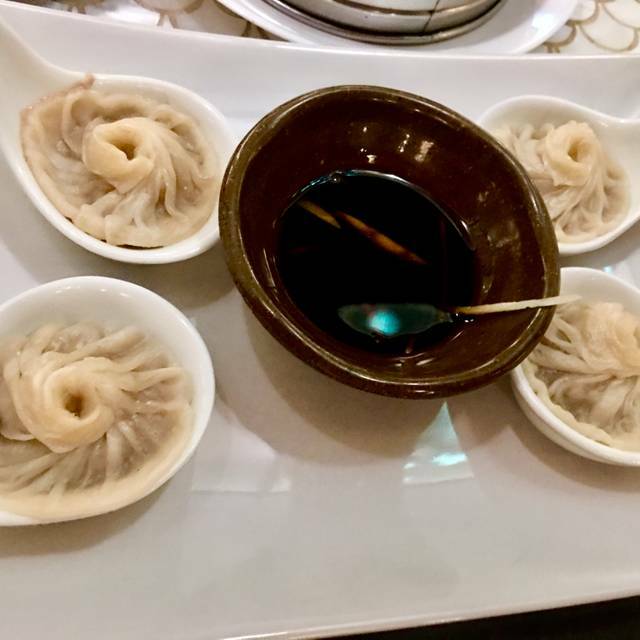 The Shanghai Xiao Long Bao was our starter and it was good, though I didn't get the "soup" part, and they were a bit hard to eat (maybe it should have been 1 big bite). Would definitely recommend and will go back. 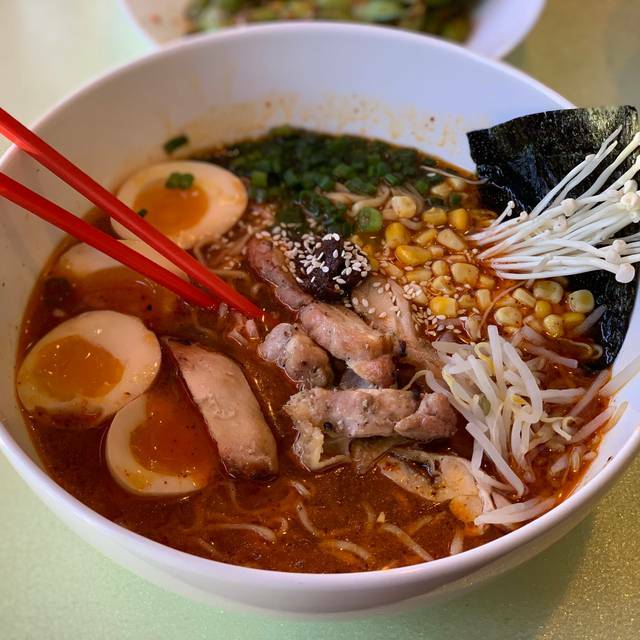 We've been looking for a new ramen spot in Boulder, and this was definitely it! 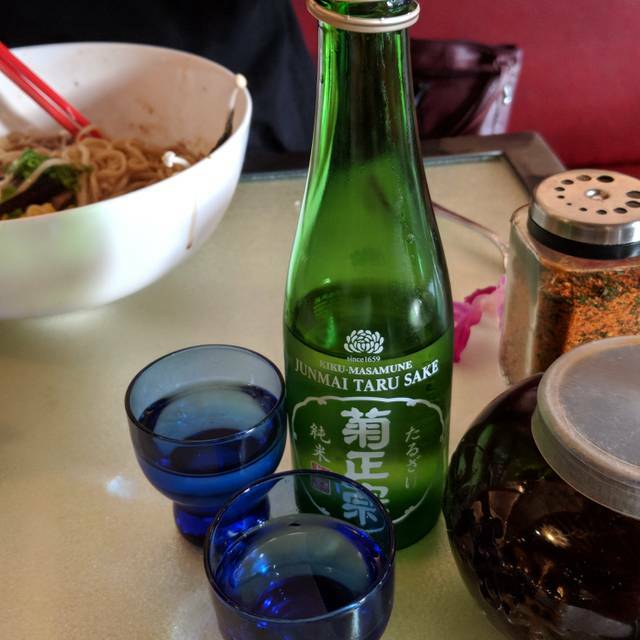 Great food and sake. We all ordered the Chimera ramen and love it. Also had some buns to start of course (duck and crab) - both were fantastic. A little noisy, but fun atmosphere and good location on the mall. Excellent. This was my 3rd visit to Chimera. The ramen is quickly becoming my go-to comfort food. We had several appetizers beforehand and each were wonderful too. The poke, the bao, the dumplings. All great! I look forward to my next meal here. It will be soon. Had a great time. Super vibe and lively atmosphere. Great tunes too. Food on point. We will be back. 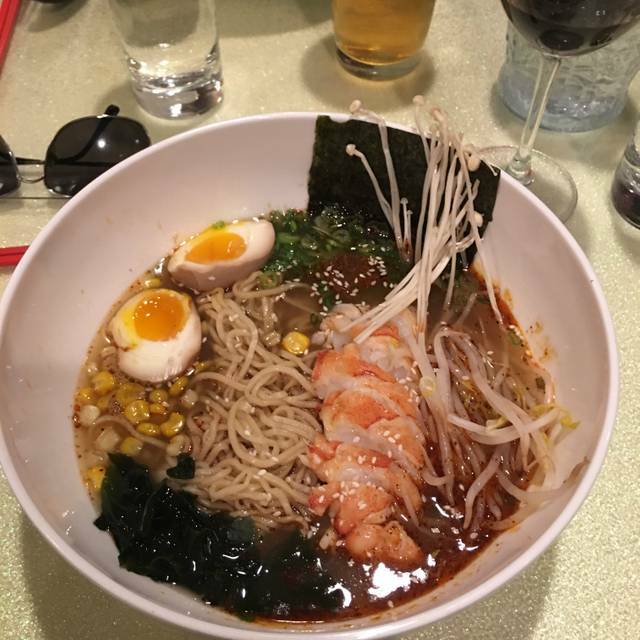 Chimera is an excellent spot for legitimate ramen. They make their own noodles and broth. So if you can't jet over to Tokyo for the day, Chimera isn't a bad second! Beautiful space but very ordinary food at pretty steep prices and small portions. Service very, very slow for a Tuesday evening. Delish!! I failed to mention I needed gluten free noodles (which I was sad to make the change because their house made noodles look incredible!!!) upon ordering. They were accommodating without question to make the change after they brought my bowl to me. Great service, great food, solid restaurant experience!! The spicy red ramen was neither red nor spicy. It was incredibly bland and contained very little chicken. I'll go all the way to Menya in Denver from now on. Service was great but the food just doesn't cut it. Meh.... ordered the mai tai. Unlike any mai tai I’ve had. If they wanted to change it up so much, I’d suggest renaming it. I was not asked if I wanted something else. Ramen was ok at best. Noodles were tough and tasted like shoestrings. Chicken pieces were sparse and fatty. I left hungry. 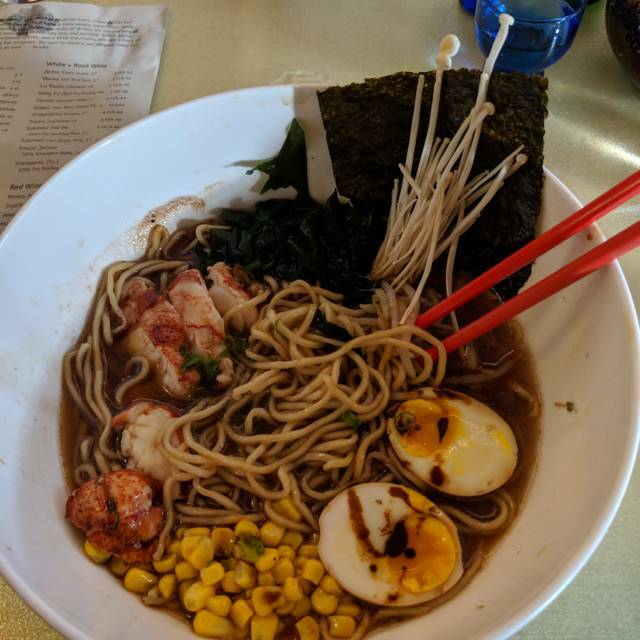 My friend got the lobster ramen, which we were told had an entire lobster tail for $25. It had maybe 3 or 4 ounces of lobster. The best thing about this place was our waiter. He was very busy and still took great care of us. That said, the ramen broth was really bland and disappointing...not awful, just not great. Food was great, menu was simple, it was exactly what we were looking for on a cold night. Friendly staff, great location, all in all a nice meal out. Nothing special or fancy about it, we got a couple of ramen bowls and the bbq plate. Lovely restaurant just off Pearl Street Mall, not too small, not too big. We come often and enjoy the delicious ramen. 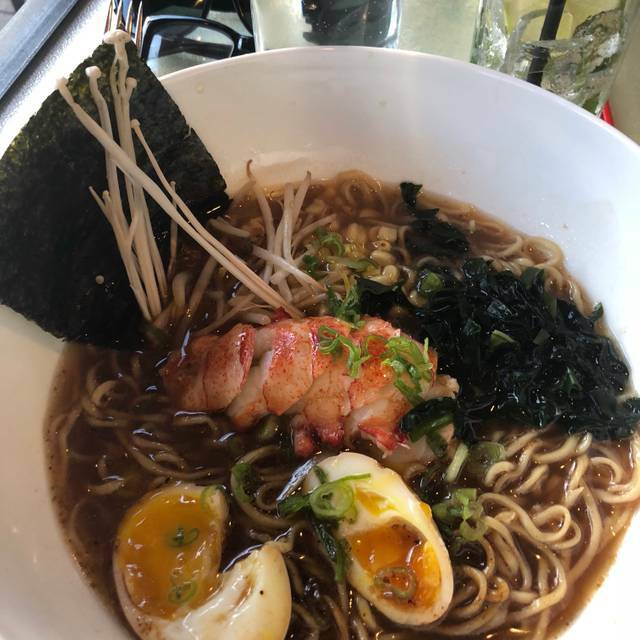 The Lobster Ramen is a favorite along with the Spicy Edamame. The servers are polite, often get busy, but flag down easily. We went o Chiamera with our two children (7&9). The menu is limited for younger-gluten free- eaters. 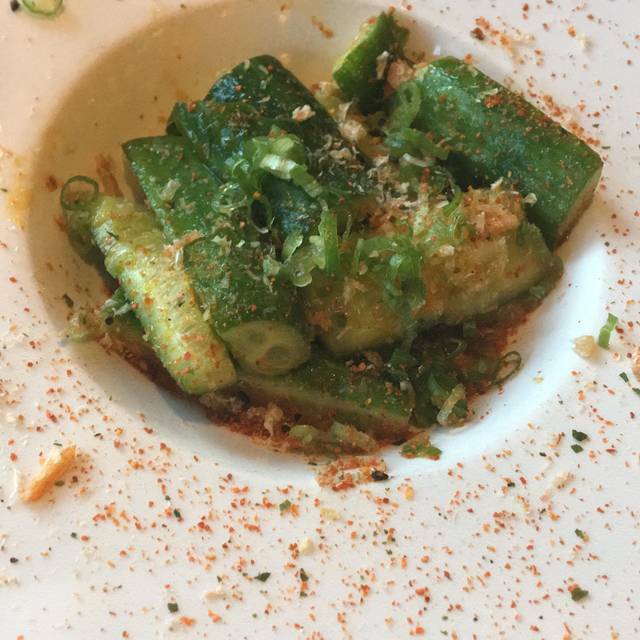 The server didn't bother to mention the dish we ordered was spicy (Even after we dismissed several items because of the spice). Too bad she didn't pick up on the fact, and suggest that the entire be ordered with less spice...My husband and I both ordered Ramen=delicious, but served less than room temp. $120 and hungry kids later, we likely won't go back. best date i’ve been on in a while. The four of us went there on Valentine's Day - the place was energetic but not deafening. We all got ramen which is absolutely delicious. The broth is great - house made as one would expect from the chef behind Zoe Ma Ma. Delicious veggies in the broth, nice toothsome ramen noodles, and an "umami bomb" which the children elected not to get. 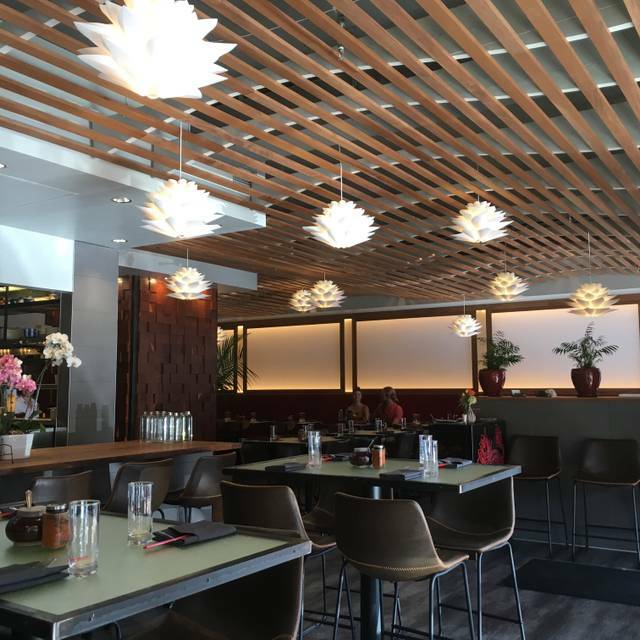 This is in the old Sushi Tora space, but it's been freshened up. Service is attentive, and food is great. We will be back! Serving on buns was skimpy. The soup broth was very oily, needed to be filtered. Pho noodles were very bland. Such a refreshing meal.. we both had Ramen - great on a cold & windy night. We had a great time at Chimera. The food and the staff were excellent. Parking is always tough in Boulder, so don’t waste your time looking for a spot to park. Instead, settle for one of the parking garages. We like this place. Great noodle dishes. My wife had the vegetarian ramen. I had a salad with shrimp. We shared a soft shell crab bao. Excellent, Good wine and sake list too. It is a rather limited menu. First time to Chimera. It’s a welcome addition to downtown Boulder. Very interesting Pacific Rim cuisine and menu. Both of our apps and entrees were excellent. Wine list had good options for pairing to the cuisine. Definitely recommend to anyone wanting to try something new. Food was delicious, and the service was icing on the cake! It was fun place for two couples to go out to dinner and catch up. The service was friendly & efficient. The food was good. The downside was the noise. It was difficult to hear my table mate. The service was excellent. Our waiter Zak was very attentive. The food was delicious especially the butter poached lobster ramen. Also really enjoyed the coconut shrimp appetizer. The veggie ramen was flavorful, as most veggie ramen lacks the flavor that meat ramen has. The long bean starter was spicy and tasty. Service was great and not overbearing. Quite loud but definitely a cute place. Fits right in with the Boulder scene. Had interesting drink options. Food was awesome, we ordered one big eat (bulgogi) and a handful of dishes from the little eat menu (sashimi, ceviche, long beans, duck and pork bao), all the food was great and the dessert bao were awesome. Coursing was not good, ramen was very bland, server was nonexistent, birthday was not even acknowledged let alone something brought out or even offered. I liked the food, but did not love it. Some of the dishes tasted similar. There were not enough spice variations amongst the dishes I tried. We had a really great time at Chimera recently. The food was wonderful and the service was excellent.